92 keys, 2. 4GHz wireless Keyboard with Touchpad. Change slides and screen options, write on the screen, emphasize words and objects just by using this wireless mini keyboard and mouse with touchpad. The remote looks good, feels good and is designed well overall. Works perfectly on my Fedora based HTPC. The one kicker here is the connection delay. If you set the remote down for about a minute it goes into power save mode. Unfortunately, it takes several seconds to reconnect once you wake it up. The first key you press is not registered and you have to wait for the blue light to come on before you can use the remote. Really lowers the WAF. I've used the non-plus versions and they don't suffer from this delay. I can live without the back light, but the delay makes this unacceptable as an htpc remote. Nice as just a portable keyboard. This is my second one of these. My first one was not a Rii and lasted for a couple of years before it quit working. It worked flawlessly. I decided I would go with the Rii for my replacement hoping that maybe it would last longer. The first Rii I received did not work correctly. The keys would stick and it was a pain to use so I contacted the seller and the keyboard was replaced by the seller. The second Rii works just like the first one I received. The keys stick and it does not work correctly. Do not waste your money on the Rii it is a poor choice. Buy the cheaper knock off if you want one that works correctly. I purchased this to use Kodi on my PC. It worked perfectly and I was able to utilize it for all PC/Windows functions. Much easier than lugging a full size keyboard and mouse to the couch. The battery lasts about three to four days between charges and the keys are all very responsive. The only thing I would want added to this is a backlight to make the keys easier to see with the lights off (I understand there is an upgraded model that does light up). I have also used this on an android TV bok and it works flawlessly. 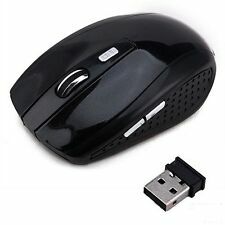 This is NOT a Bluetooth device and you will need an open USB 2.0 port to communicate wirelessly. It works excellent. The design fits nicely in my hands and is easy to type on. I use it in the field to enter data into my UTV mounted tablet. Work so much better then the pop up key board in my tablet. Battery lasts forever. Price way below it's worth.